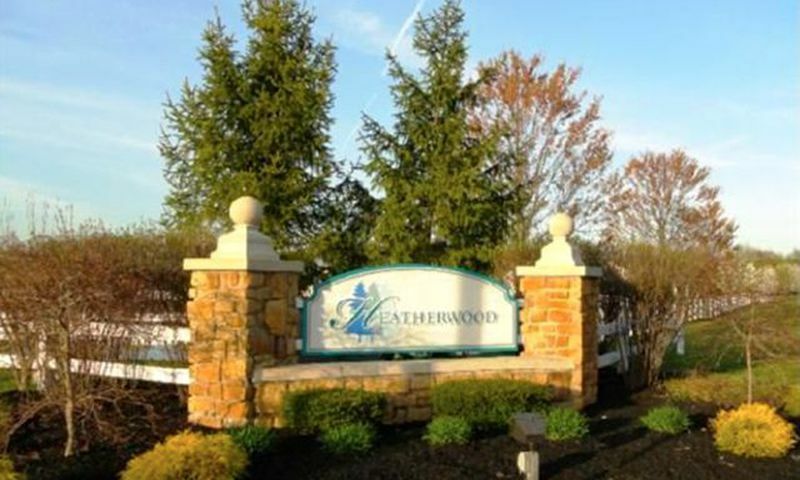 Heatherwood is a 55+ community in Sewell, New Jersey. Built Between 2002 and 2007, Heatherwood offers 160 beautiful single-family homes. Floor plans range from 1,400 to 2,400 square feet and every home has an attached garage. This active adult community is situated amongst 60 acres of soaring trees and scenic water features. Residents enjoy the carefree lifestyle where it is easy to meet neighbors and make new friends. With scenic views and low-maintenance homes, Heatherwood offers a convenient lifestyle for today's active adults. This active adult community welcomes homebuyers aged 55 and better. With neighbors who share the same hobbies and lifestyle, it s easy to make lifelong friends. The size of this community creates a true neighborhood feeling where everyone knows their neighbors. Throughout Heatherwood there are paved sidewalks that lead up to a beautiful gazebo. Not only do these outdoor amenities promote a fit and healthy lifestyle, the picnic area is the perfect place to host neighborhood parties and social events. J.S. Hovnanian & Sons began building homes inside of Heatherwood in 2002 and the community was completed in 2007 with 160 single-family homes. Homes range in size from around 1,400 to over 2,400 square feet. Most homes feature two to three bedrooms, two to three bathrooms and an attached one or two-car garage. Heatherwood is situated in Sewell, New Jersey in Gloucester County. The community is located on Country House Road and Mount Pleasant Road. The established community offers a private setting with tree-lined streets yet it is conveniently close to shopping, dining and entertainment. Residents can easily access grocery stores and retails shops such as Kohl s, K-Mart, Target, Marshalls, Bottino's ShopRite, Acme Markets, and Save-A-Lot. There are bakeries, movie theaters, pharmacies and places of worship all within close proximity to Heatherwood. Traveling is also made easy with the community s close proximity to Route 47 and Route 55. Heatherwood is an established active adult community located in a desirable area. There are plenty of activities available in Heatherwood. Here is a sample of some of the clubs, activities and classes offered here. I just moved in last summer and have been enjoying decorating the house and meeting my new neighbors. The people here have been really welcoming and made me feel right at home. It's great not having to worry about mowing the lawn or shoveling snow anymore. I have plenty of free time to spend with my grandkids and sew lots of clothes for their dolls in the craft room I set up in my loft. It's perfect! 55places.com is not affiliated with the developer(s) or homeowners association of Heatherwood. The information you submit is distributed to a 55places.com Partner Agent, who is a licensed real estate agent. The information regarding Heatherwood has not been verified or approved by the developer or homeowners association. Please verify all information prior to purchasing. 55places.com is not responsible for any errors regarding the information displayed on this website.